When you need to add, sort, or strategically place priority information in your site, you can do so with the help of header and footer menus. Now you’re good to choose custom links, pages, or categories and add them to your menus. Click Save Menu. 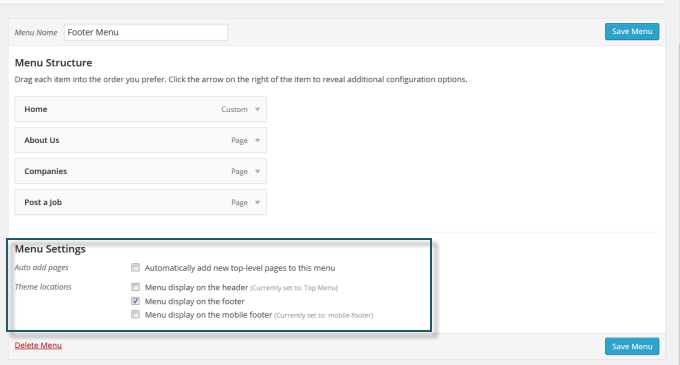 Finally, on Theme Locations, select where you want them to appear – header or footer menu. Don’t forget to hit Save. Creating new header or footer menu for your mobile version is same as the desktop version. In the Menu Settings section, you can tick the "Menu display on the mobile footer" option Or "Menu display on the mobile header" option based on the theme you are using. Enjoys!